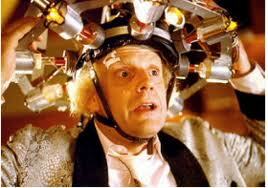 Urban Archeologist: The Flux Capacitor! It happens....every now and then I won't find...anything. By "anything" I mean the kind of things that need some deeper research to establish what they are, or were. Then there are the items you buy sometimes because after spending 45 minutes to 2 hours at a sale...you feel obligated to buy something, anything. Similar to the "Lee Press-On Nails" Jeopardy losers used to get. I refer to these oft meaningless tag sale purchases as parting gifts, "Thanks for letting me dig, I couldn't find any treasure, but here's a buck for this, uh, thing so I can duck out of here." I think the appeal for me was design. It's all machined and brushed aluminum and brass and it doesn't look like any of those wrought iron tavern puzzles someone bought me when I was 12. When a blacksmith gets bored you get tavern puzzles. 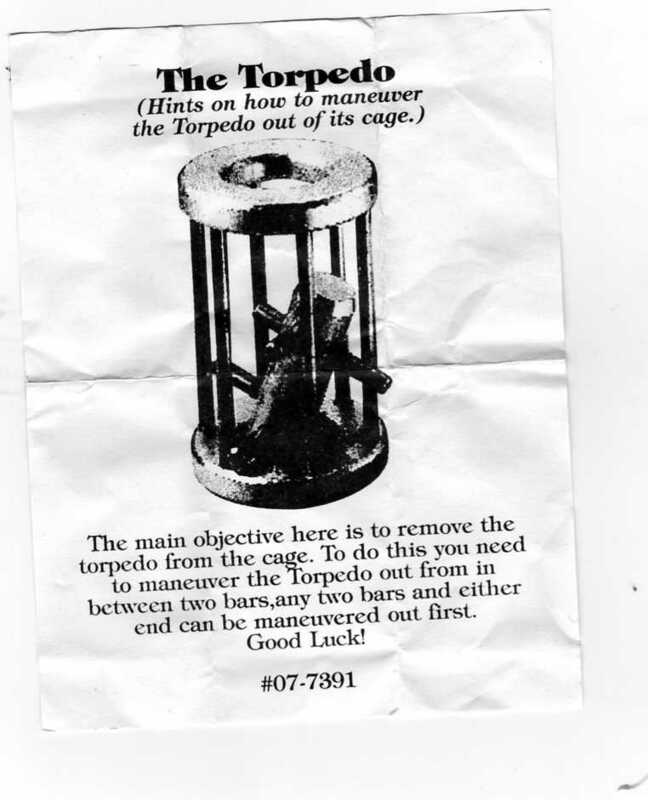 When a machinist got bored he created the Torpedo! Not only does it look impossible, it is. If you were expecting an image of the puzzle solved, well, I hate to disappoint but I can't crack it. The greatest challenge is to NOT search Google for the solution. Oh, it's there. Google knows the answer to everything. That looks really cool. Quite a step beyond the tacky plastic puzzles you tend to get these days. Nice find! Update To "Tray Bizzarre" Post!